Hurry over because The Royal Standard Round Insulated Casserole Carrier is just $3.49 (Reg. $16.99)! Shipping is FREE on this deal! 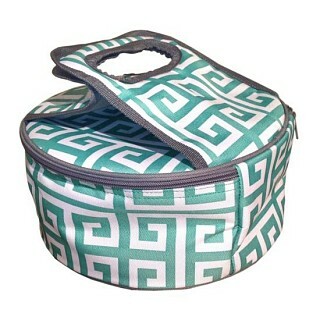 Keep your treasured, home-made casserole dish safe and warm with The Royal Standard's Insulated Casserole Carrier. This beautiful carrier is made with cotton, polyester, and PEVA lining for protection and insulation while you take your food on the road.